P3Cars VIDI for yor BMW E70/E71 X Series. 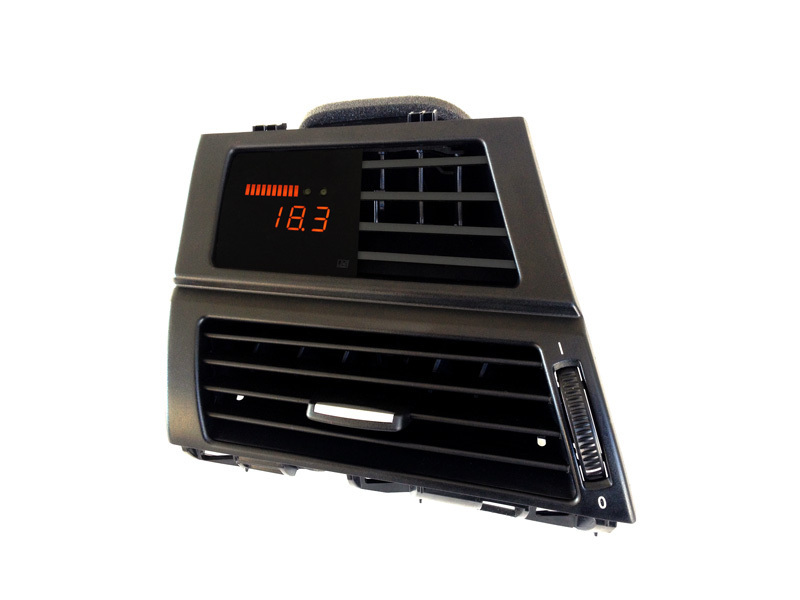 Order a P3Cars Vent Integrated Digital Interface for your BMW E70/E71 X Series and SAVE MONEY at ModBargains.com. Our Modification Experts are ready to help out at 714-582-3330. Have you ever wanted to know what exactly is going on in all of your car's sensors at any specific time? Well the P3Cars Vent Integrated Digital Interface (VIDI) for BMW E70/E71 X Series does just that! You can monitor values such as boost, vacuum, coolant temperature, intake air temperature, exhaust gas temperature, throttle plate displacement, speed, rpm's with a shift light, battery voltage and even more. This interface can do just about anything you need it to do in an easy-to-install package that displays all of your readings in plain view where your old left or right driver side A/C vent was. So if you're ready to completely be aware of everything that is going on under the hood, order a P3Cars Vent Integrated Digital Interface from ModBargains by calling 714-582-3330. Interested in ordering a P3Cars VIDI for your BMW E70/E71 X Series? Our Modification Experts can help at 714-582-3330.